World First Aid Day is a global observance held on the second Saturday in September. 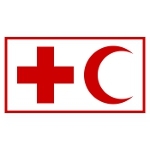 It was instituted by the International Federation of Red Cross and Red Crescent Societies (IFRC) in 2000 and has been celebrated each year ever since. World First Aid Day aims at raising awareness of how first aid can prevent injuries and save lives in everyday and crisis situations, as well as at promoting the accessibility of the first aid. Events and activities held on this day focus on first aid training. Every year, a new global theme for the day is chosen, and participants are encouraged to plan events according to the current year's theme.